Garbett Point is located near Matheran with the grand view of the plateau below. The huge plateau gives a view to various waterfalls on the neighboring mountains. This place is also one of the top places to visit in Matheran hill station and among most scenic places to visit near Mumbai. How often is it that you get to do a night trek? Just the very idea is so alluring because it is seldom that one gets an exciting chance to be part of such a trek and we make sure it is worth every bit of it. •Nights signal the end of a day, but for those of you who join us, it means the beginning of a new journey towards new kinds of thrilling experiences with new friends, feeling the love of the night in a new way as we make our way up to the plateau. 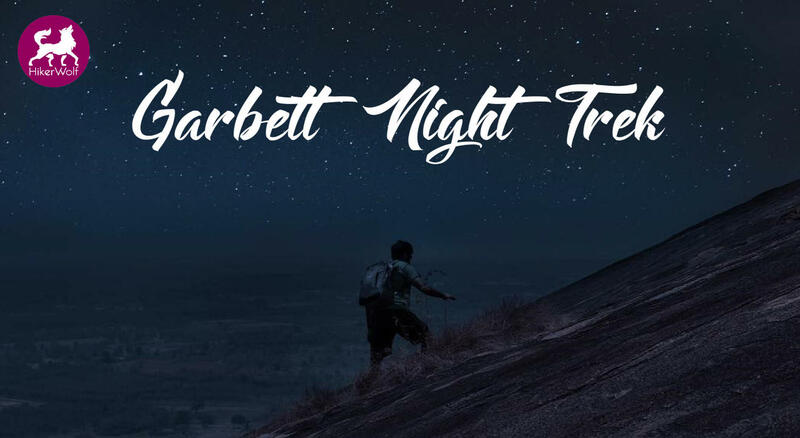 •Walking the whole night long, you don't need to be concerned about being hungry ever, as we always start this exciting night trek with good food. • Your safety is of prime importance to us and after some instructions shared and some introductions, you will be on your way through the dark mystery of the night, enjoying the fresh air, cool breeze through your hair, chatting, laughing and singing your way up and back. •On our trips, you will always have more friends than you had at the beginning of the trip and we make sure for all to mingle easily and have fun, above all. •Take some scary selfies to add to the fun of the night, if you wish, or look like night owls and wear dark glasses for photos. We want you to have the most fun, no matter what. Who knew one could have so much fun on a night trek? Well, we know!! Board the 9:26 pm Karjat fast local from CSMT. After reaching Bhivpuri Road station we start our walk towards the base village. At the base, we will have some food, Introduction, instructions, start our trek towards the Garbett Plateau! Enjoy the night view of the beautiful plateau, click lots of photos, have snacks and slowly and gradually reach the top. After some rest, we start moving towards Matheran to reach Dasturi Naka. It takes roughly 4-5 hours to finish the trek depending upon the speed of the group. Take a taxi from Matheran to Neral station. Reach neral by 6:00 am and board the CSTM train accordingly and reach home with amazing experience and lifetime memories with Hikerwolf. Note – The above Schedule is flexible and produced to give an idea about the Event.